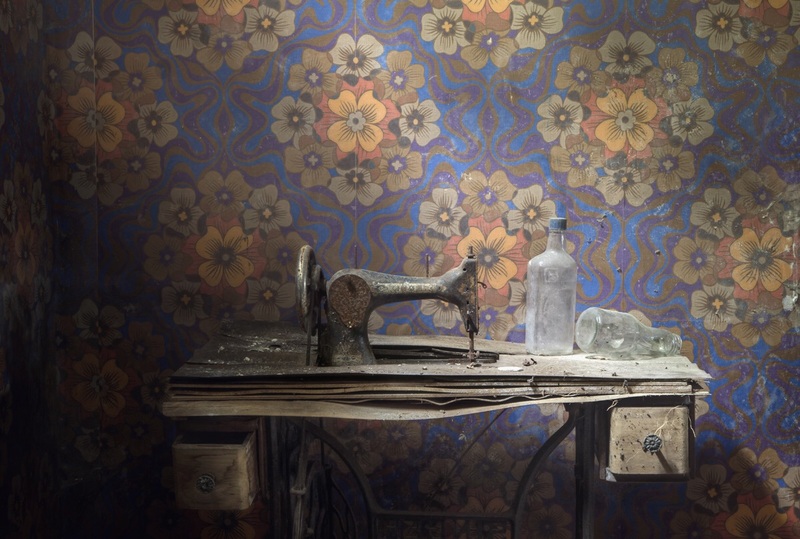 HOT OF THE PRESS – SOME NEW UNPUBLISHED IMAGES by ANDRE GOVIA. 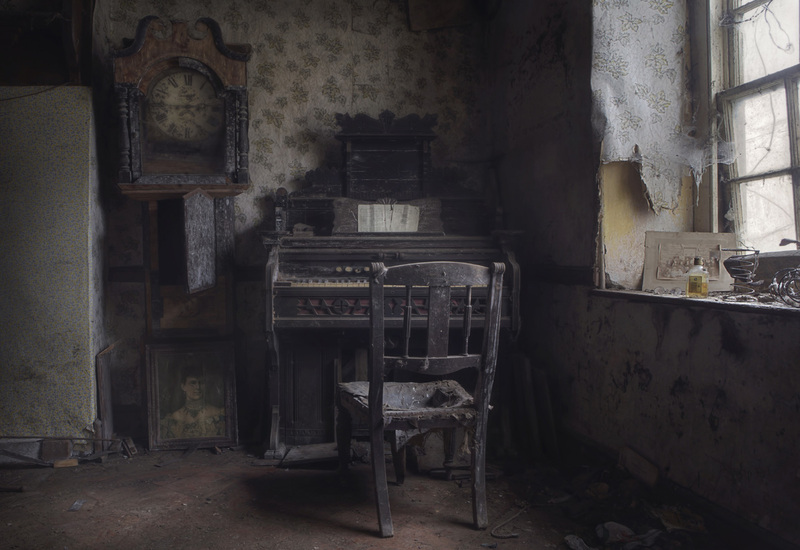 Andre Govia is renowned for his Abandoned Interiors from a Europe long forgotten. 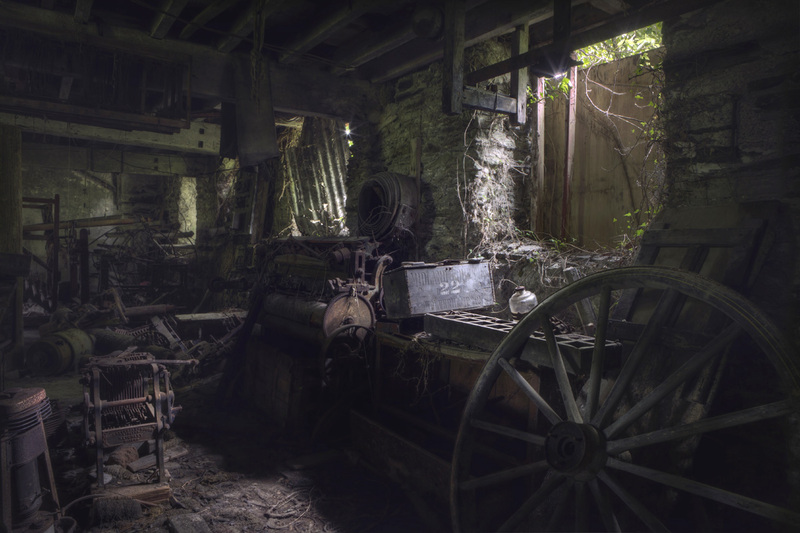 I would be too scared to enter these old derilect buildings, to start with I don’t like spiders, however he doesn’t show us any creepy crawlies. 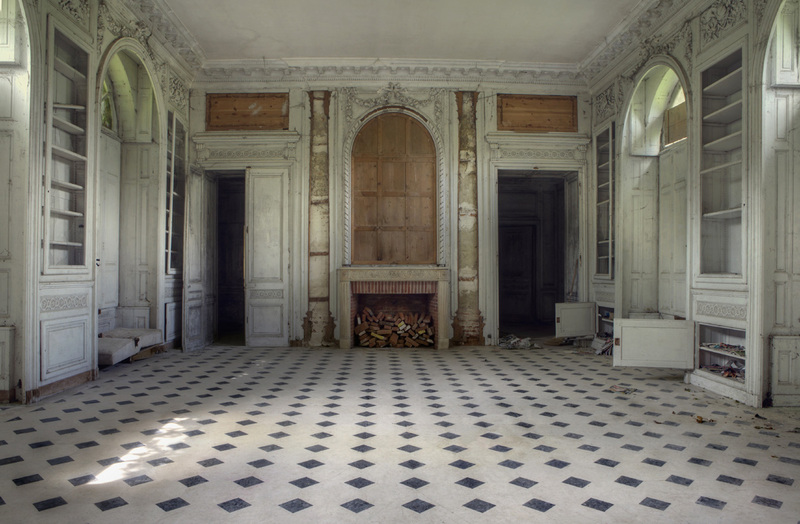 Andre shows us the beauty in these deathly empty interior, his images ask the viewer questions about these abandoned ‘scapes’.WHY? WHERE? who knows, After all they are trespassing with what they say are good intentions. 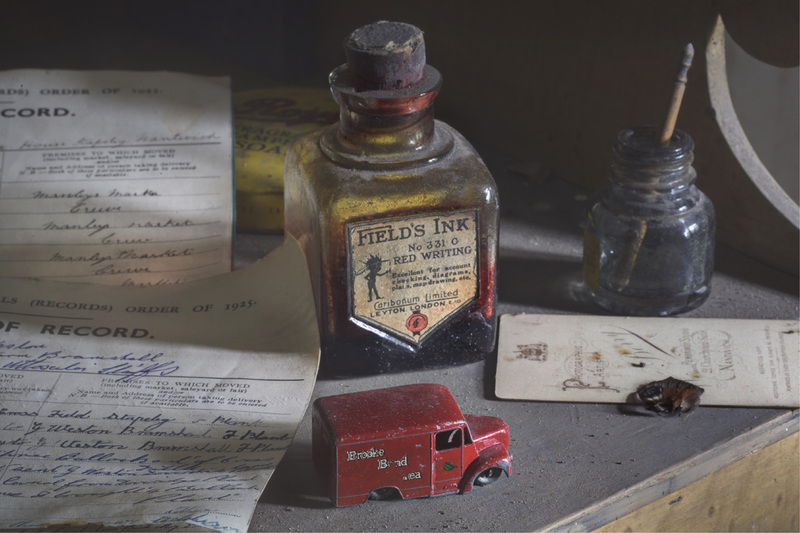 Legally they walk a fine line; Andre and his fellow explorers share his passion and explore the forgotten, locked up, heart breaking architectural gems long left to the ravishes of nature and time. Some folks call Urban Exploration a sport, not yet included in the Olympics. Andre is one of numerous Urban explorers residing in the UK, he is one of the best. I read somewhere that Andre isn’t your real name, perhaps that’s why the authorities haven’t caught you trespassing, is that true?? Well Andre is my real name and authorities don’t have anything to do with what myself and other explorers do, most locations are private and fall outside any government interest. I have been caught like most others who participate in Urban exploring, That is one of the attractions, the challenge of getting into guarded locations taking photos and getting out again. Getting caught is part of the possibilities but me and other explorers always show respect to guards and police if found as they are only doing their job . Have you ever been caught trespassing and if so what happened? Yes I have been caught like many others in abandoned buildings in more than one country. The police are often very interested why we go to so much risk and drama to get into buildings sneaking around alarms and cameras to get a shot but understand once they see out passion and determination to complete the task. As soon as they search us and see that we are not taking goods from a location or have damaged the building in any way then we are normally asked to leave, the same for guards who just want to keep us out of a very dangerous building. One of the golden rules is never name the locations, selfish yes, but necessary. After al they are trespassing with what they say are good intentions. Legally they walk a fine line between creativity and vandalism although they never touch or damage the interiors. 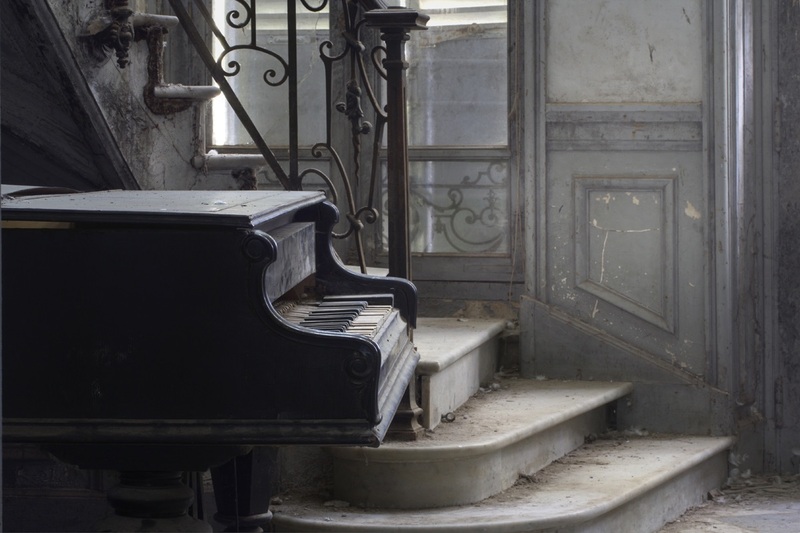 Why were these buildings abandoned with no one trying to sell the piano, light fittings etc.? Andre’s day job is being a film cameraman for a TV company. He does film editing for US and UK networks.I first discovered his work on Flick’r a photo sharing site we both enjoy. 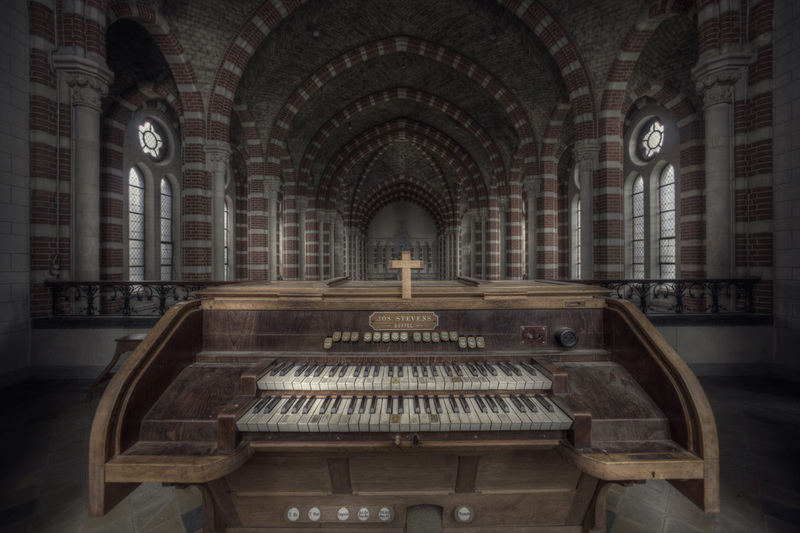 Yes his real name is Andre Govia. I mentioned his book Abandoned Planet in a recent blog. 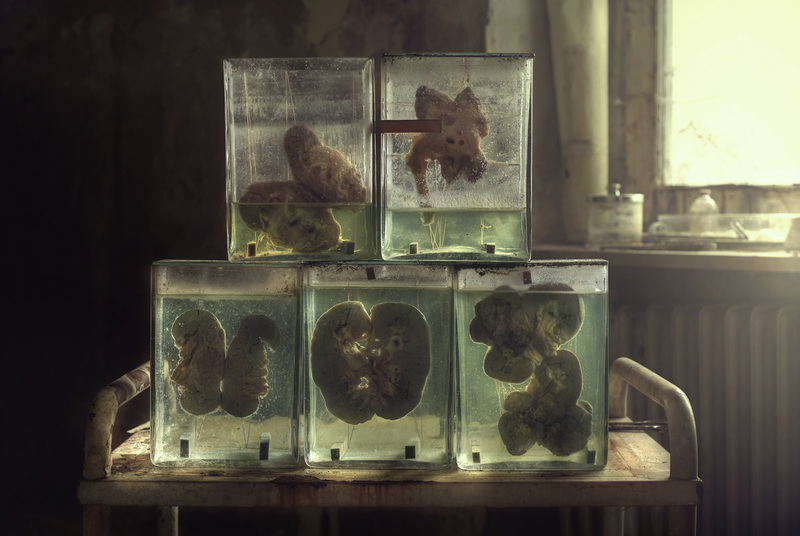 Andre’s work is haunting, compelling, frightening and so much more. On one page of his book ‘Abandoned Planet’ there were marble memorial slabs, so I googled the names to discover these were long forgotten headstones of prominent aristocratic men who lived in Belgium in the late 1700’s. I had always thought of marble headstones as a permanent memorial, but maybe they are not! 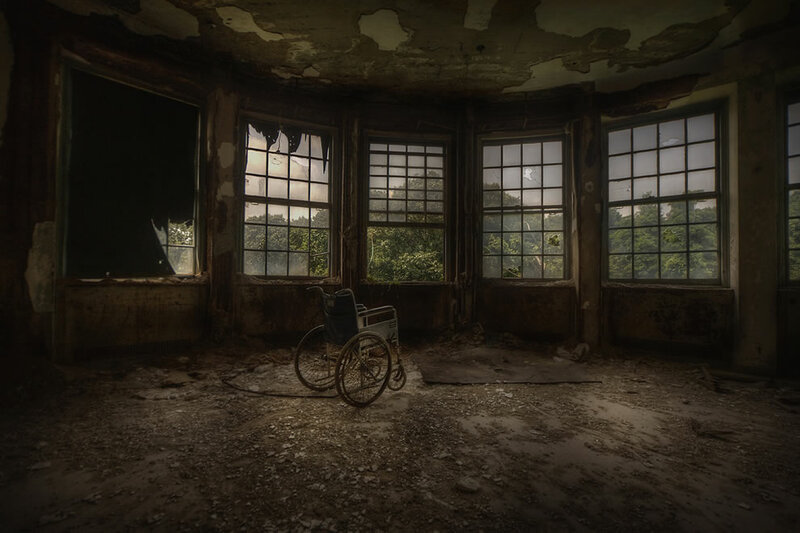 Theatres, hospitals, schools long abandoned but not empty, wheel chairs and hospital beds slowly rusting. It challenges ones ideas of waste that is for sure! Sad that no one has restored them to their magnificence. Maybe one day…maybe never. Some of the interiors are quite dark; how long are the longest exposures? Taking photos in boarded up abandoned building with low light is a challenge that I have mastered in my own way with a mix of long exposure and light painting if needed . Others use a way that works better for them to create a style they like. All buildings have a different issue to get the shot you desire from moving floors to no floors and total darkness and the danger from falling roofs and chemicals in the air. Two more questions – Do you have a favourite building? If so where and why? My favourite location so far has been West Park Asylum (name given because it no longer exists) , A vast complex of buildings set in Woodlands in the UK , On my 43 visits there I still managed to find areas of the hospital that I had not seen before and it almost became an addiction , the musky smell of damp and decay along with that sterile hospital smell was unique and kept myself and others coming back for more , I was even there on Christmas day once for 7 hours in -6 temperature in the snow . It had it all, cctv long corridors, guards with dogs great creepy wards and danger. I had been caught there a few times and the guards even knew my name from past encounters but the game of cat and mouse continued up to the demolition and conversion day. How many Urban explorers are there in the UK these days? That is a difficult question to answer to be honest. Its matter of separating urban explorers and people who find an abandoned building and take photos in it because it’s in fashion. 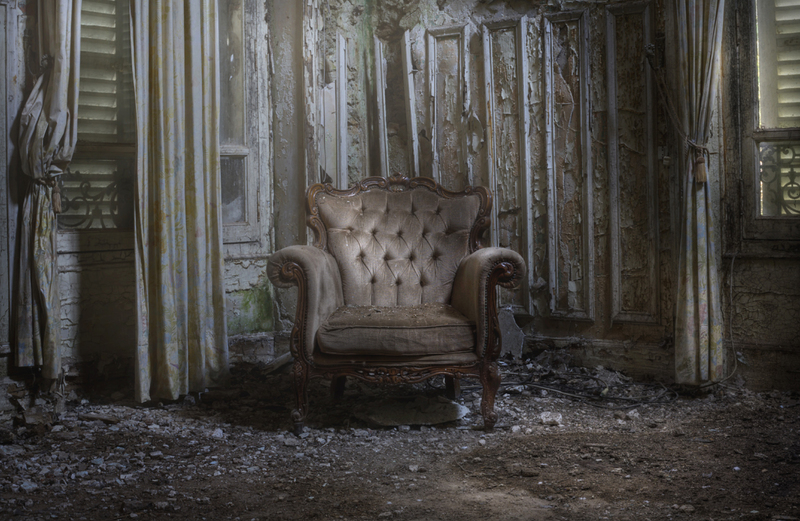 Urban explorers are people who explore taboo locations and often document them with photos and video anything from drains to rooftops and buildings. Then you have photographers who go into abandoned building to only take photos (sometimes with models etc.) But yes it is popular at the moment but many people have been injured by just walking into buildings without taking time to prepare for the dangers within. Urban exploring is dangerous without a doubt and you only have yourself to blame if you get hurt or even robbed within an abandoned building that often could have drug users unstable floors , Asbestos etc . THANKYOU ANDRE… I HOPE OUR PATHS CROSS AGAIN. Thankyou Andre for sharing your adventures and the fact that you don’t like spiders either! We have perhaps 5-6 older buildings ( 100 years) in New Zealand, Government built , plain architecture. Kingseat, Hokitika Govt. Building. Give them a few more years 🙂 Internationally the game is on. More and more sites are being invaded such as this remote site in Kazakhstan. I can’t imagine the consequences of being caught there!! I also enjoyed an exhibition in Auckland a year or two ago of Detroit’s abandoned landscape by Frank Schwere. 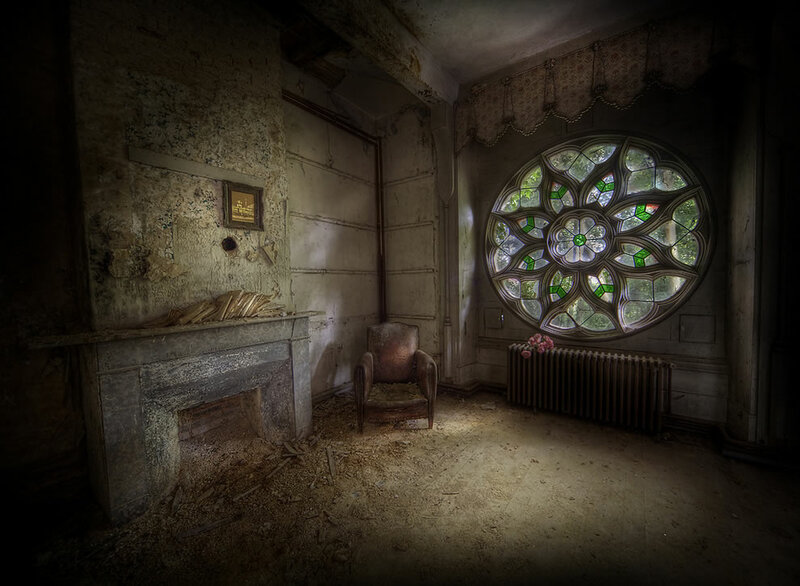 This entry was posted in Books, Guests, Photography and tagged Abandoned buildings in Europe, abandoned interiors., Abandoned Landscapes, Andre Govia, Europe, film maker, new images Andre Govia, Photographer Andre Govia, UK Urban expolore, Urban Exploration, Urban explorer Andre Govia, Urban explorers, West park asylum by kiwigrannz. Bookmark the permalink. 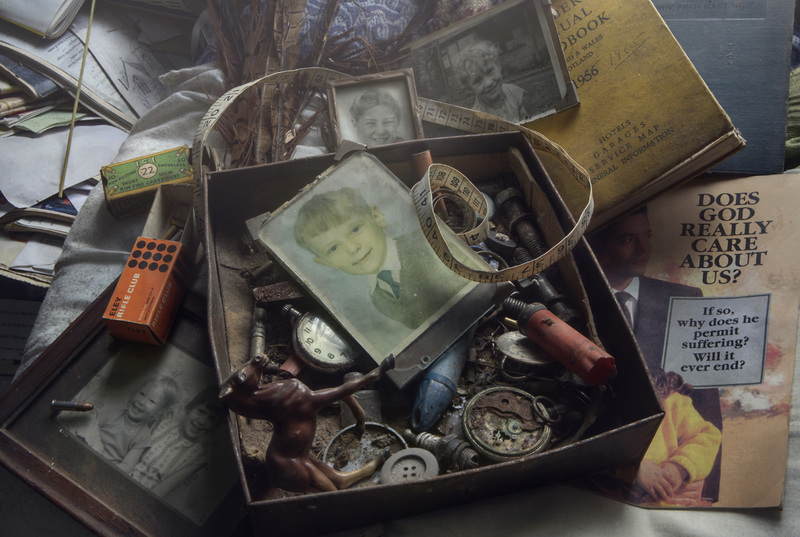 Great insights into the past, beautiful images evoking thoughts. My Favourite image is the fireplace with pic above with old lamps guarding. Fascinating, but far too spooky for me!! 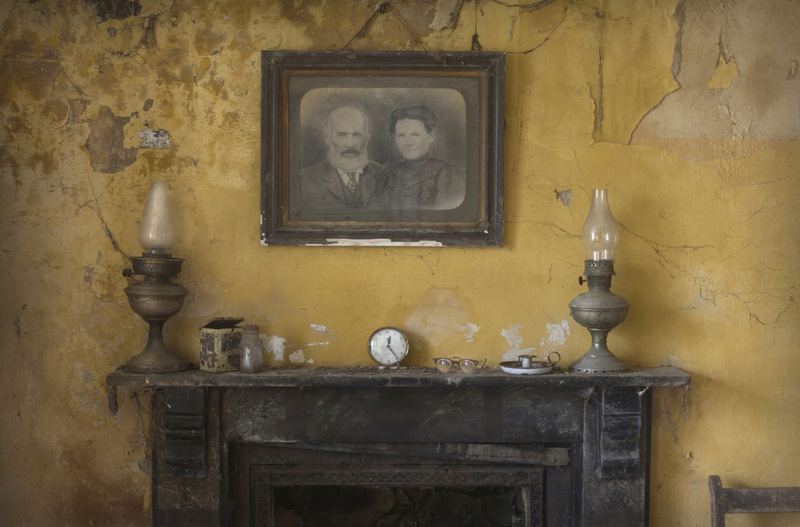 Yes love those derelict interiors – they have a depth and history.